Did you know that the main cause for most dog’s misbehavior is its boredom and inactivity? Have you ever had a situation where you come home weary from work, and just when you need some rest and comfort, what you find is a heavily chewed shoe, torn sofa or cushions? Well, you can blame your dog as much as you want (or have energy left) but it won’t change the fact you’re the one who’s putting your loving companion into four walls without anything stimulating to do; The dog might choose the unpleasant alternative – it will start looking for some activity within the cube and choose the most inadequate “victims” from the owner’s perspective. Nowadays, psychologists aren’t just a normal practice for humans – this word is no longer an incompatibility in our pet’s world as well. Lots of them suggest different practices and pastimes for our four-legged friends, and interactive dog toys are rapidly becoming more and more popular. And for good reasons – instead of pointless howling and tearing apart its owner’s shiny high-heels, the dog is engaged in an innocent activity that’s also mentally way healthier. So, what exactly are these interactive toys for dogs and how to choose the best one for your companion? 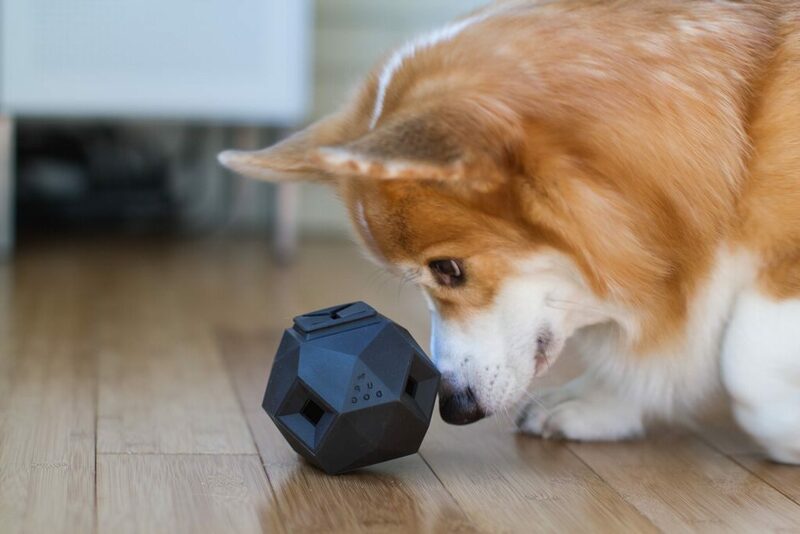 In simple words, interactive toys are pet toys with unique features made in order to keep your dog interested and engaged longer and in more diverse ways than your usual squeaky chicken or tennis ball. 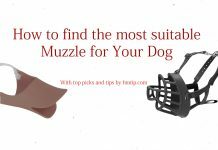 Nowadays, you can find dog puzzle toys, treat-dispensing dog toys, as well as indestructible dog toys, and combinations of these. It’s good to try out different types of interactive dog toys not just to find out what your companion initially prefers but to also give it more activities that stimulate different things – chewing, dog’s memory, etc. One of the things to consider when buying an interactive toy for your dog is your companion’s size. The chewable toy has to be size-appropriate meaning for larger breeds you should get a larger toy that they cannot swallow and smaller ones for smaller breeds so that they are able to play with them. Simple as that. If your dog is a strong chewer with a robust jaw, get a very durable toy. Smaller breeds tend to have weaker jaws, so a softer toy might be a better option for them. Also, if you have a teething puppy, it’s good to have a toy that requires a lot of chewing in general because they can redirect this desire to chew to these toys that are appropriate to chew. Finally, consider if you can spend some time playing the game (toy) with your dog – for some of them, an interaction between the owner and the dog is preferred (sometimes even required). Without any further ado, here are our top picks for the best interactive dog toys. We wanted to give you 5 magnificent choices that differ from each other within the list. A fantastic tool to keep your fella entertained and fit with or without your presence. Obviously, this won’t work in a small and stuffed apartment; An open territory/playground is required to unleash this toy’s full potential – it launches balls 10, 25 and even 40 feet (depending on the setting chosen). Teach your dog to drop the ball into the upper hole and you’re set to go. It runs on a built-in battery that’s rechargeable. The toy itself is complimented with 3 balls but you can get and use more. 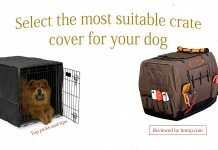 This larger version can fit in a tennis-sized ball, however, there’s a smaller and less pricey alternative as well, and this version, in fact, could be more appropriate for smaller breeds. When taking outside and leaving it there with your companion for a longer period of time, just check the weather forecast first – wet and dirty balls are no good for this device. This might be one of the best interactive puzzle dog toys out there in the market today. It’s not the simplest one but it can be very rewarding. You put treats in the drawers and behind the “bones”; To increase the difficulty, put the treats into the drawers and lock them with bone-shaped pegs. If you’re home next to your companion, it’s also a great training in such commands as “wait”, “go”, “find”, etc. (in fact, this really is more of a dog-and-owner interaction game, not a home-alone toy). It should be hand-washed but it’s easy to do. By the way, this interactive toy can be used for cats as well! You might also want to take a look into other fabulous Nina Ottoson’s interactive dog toys and try them as well – this Swedish dog trainer has made quite an abundance to choose from. HM tip: Try to simplify in the beginning by, for example, putting some treat in a drawer and not locking it first, then under the “bone”, gradually moving to the locked drawers – more sense of accomplishment is also guaranteed – there are folks who state their pets cannot figure out the complicated version but it’s most definitely possible, therefore, more sense of accomplishment is guaranteed. This interactive dog toy produces unique giggles when dropped and rolled. The sound is produced by simple tubes not batteries, therefore, it’s also longer-lasting and easy to maintain. The 6 clutch pockets on the surface allow your dog to carry it around quite easily although it is relatively big in size (5.5×5.7×5.5 inches). It’s very entertaining (also hilarious for the owner… in the beginning, at least) and does not require owner’s presence. HM tip: If you have a breed whose jaw isn’t as big and strong, go with Pet Qwerks Talking Babble Ball Dog Toy – it’s smaller (has 3 different sizes) and, in fact, has more sound effects than Wobble Wag. The sound is triggered by a motion, otherwise, it’s on like a standby mode – unlike its counterpart, this one is run by batteries (replaceable). This is a fantastic choice for heavier chewers and might offer even more fun to hyperactive dogs as this toy bounces and rolls in unexpected directions – you’d be surprised how big of a difference this makes, it’s like a new game every time. It’s made of natural rubber compound, is very durable, and you can choose from different sizes (in fact, you can also choose from 4 types of Kongs that also differ in their color and durability – for teething puppy choose Kong Puppy as it’s softer). You can stuff this toy with various treats, play with your companion together, or leave him home alone with this unpredictable bouncy toy that will keep him stimulated and occupied way longer than any type of typical ball. HM tip: First, make sure to get the right size for your breed. Second, to make it more challenging, try mixing dry and wet ingredients into this toy. You can also freeze it to make it even more challenging for the most vigorous chewers. Here’s another great interactive dog toy with adjustable levels of difficulty; It’s made of 3 main parts – top, bottom and the adjustable disk in the middle. It’s easy to unscrew and clean it (hand-washed using warm water; it should be dry when adding treats and putting together). The adjustable disc controls how much treat can be dispensed, and you can manually change it. It can be set to a really challenging level that will keep your buddy occupied for quite a while. The toy itself is not supposed for chewing, and most dogs should understand that themselves as the material isn’t very appealing for this activity. Instead, they are being stimulated by other activities, such us rolling the ball and figuring out the way so that they get their reward. HM tip: Try and go with this one if your dog isn’t a big chewer but rather more interested in how to roll or drop the ball so that he gets rewarded with the dispensing treats – it can be very challenging and rewarding, keeping your companion’s interest for quite a while. Now, we have given you 5 different choices of some of the best interactive dog toys available in the market. We always emphasize, however, that each pet is unique, just like humans, and their preferences and needs may vary almost incomparably. If you have any further questions, feel free to leave a comment or send us an email – we’d be happy to assist. Lastly, bear in mind that you, the owner, are the best interaction for your dog – treasure the moments and time you spend (gain) together. And provide the very 2nd best – interactive dog toys – for you darling while you’re gone working just to provide the number 1 again – your precious presence.